Having delayed action on climate change well past advisable deadlines, our species is already under pressure to adapt to its impacts. Since we are on track to exceed the dangerous threshold of 1.5°C of warming, potentially as early as 2030, the need to adapt is only growing. This need is felt most by those who have contributed the least to the problem of climate change – the poor and vulnerable in developing countries. The United Nations Environment Programme (UNEP) estimated that by 2030, the cost of adaptation in developing countries will rise to $140-300 billion per year. In international negotiations, as in domestic policy, adaptation has to vie with mitigation for attention and resources. The Paris Agreement has a dedicated Article on the subject—Article 7—which requires countries to engage in domestic adaptation planning, and communicate their “priorities, implementation and support needs, plans and actions” to the international community. This reporting requirement is known as the Adaptation Communication (AC), and the Paris Agreement leaves it up to countries to agree on how regularly these ACs are to be submitted, and what they must contain. Countries have been negotiating a set of guidelines to address this, and other such aspects of the Paris Agreement (reporting on mitigation targets, finance etc). 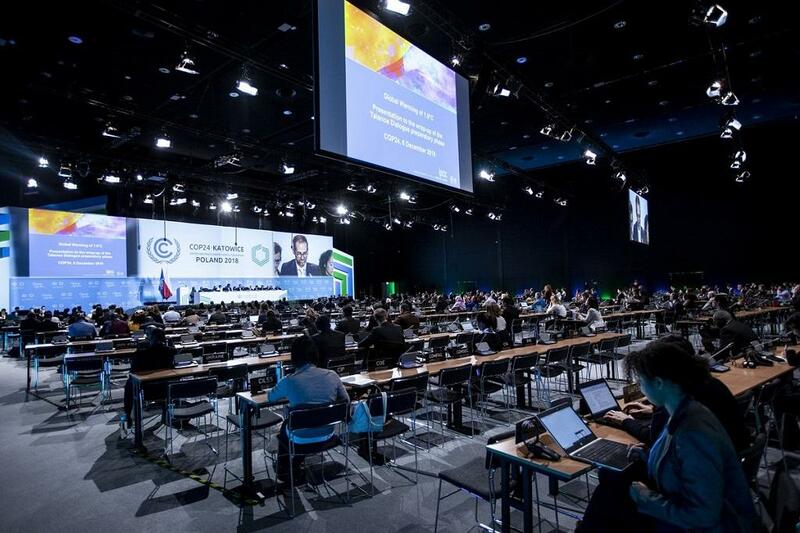 These guidelines are collectively referred to as the draft ‘Paris Rulebook’, and they are to be finalised at the 24th Conference of the Parties to the UNFCCC (COP24), currently underway in Katowice, Poland. The draft Rulebook text currently contains sections on the Principles and Purposes of the AC, as well as an Annex which lists the information that the AC could contain. Indicative projected levels of public financial resources to be provided by developed country Parties to developing country Parties, including finance, technology and capacity building. These two elements are critical to establish a focused adaptation planning process. When national planners prepare reports, the instinct is to focus on what exists rather than systematically assess what is missing. When reporting on mitigation, the focus should naturally be on what each country is doing. With adaptation, however, we are currently operating in a situation of deep uncertainty. National planners know that adaptation to climate change is needed, but lack the capacity, resources or technology to identify and tackle specific adaptation needs. This has been referred to, by the UNEP among others, as the ‘adaptation gap’. The purpose of the AC is to progressively identify and quantify this gap. The gaps at the national level need to be communicated at the international level, and developed countries are bound by the Paris Agreement to provide support to address them. The first element thus ensures that national planners focus on communicating needs. The second element is critical because developed countries would be reporting, in advance, how much support for adaptation they intend to commit. This enables planners in developing countries to anticipate and program their national adaptation actions. Negotiators in Katowice seem to be close to finding consensus on these elements of information to be reported in ACs. There is, however, more disagreement about the Principles section of the AC. The principles section contains a specific reference to ‘common but differentiated responsibility’ (CBDR), which some countries would like to see replaced by a general reference to the various foundational principles of the UNFCCC and Paris Agreement. This is part of a long-standing move since the Paris Agreement to limit the number of references to CBDR in any decisions or negotiated documents. The long-term impact of this enforced silence on CBDR is difficult to ascertain. However, in a general sense, the aim of the Paris reporting requirements is to take climate policy beyond international negotiations and embed it in the routines of national planning. At present, national planners in developed countries are not adequately sensitized to the differentiated responsibility between nations for climate change. They are primarily concerned with domestic needs and politics. This new reporting requirement should push such planners to think about the risks facing vulnerable populations in developing countries, along with their own nation’s role in contributing to those risks. Only then will the reporting requirement fulfil its purpose— to instigate enlightened domestic policy-making and action. If CBDR is not front-and-centre on the planners’ list of principles to consider when preparing their reports, we will live in a world where climate change is a purely national problem, with occasional international meetings. The reality is that climate adaptation is very much a global collective action problem, with demands for equity and fairness at its core. It is hence not surprising that the section on Principles (and Purposes, which we analysed previously) of ACs is drawing more debate than the section on actual information required. The challenge of ‘operationalizing’ the Paris Agreement while preserving its ethical core is alive and well in Katowice, for nine more days at least.